Key Frames is a light installation created by the French design/artist studio Groupe LAPS — six artists and designers with combined expertise and technical know-how who work in film development, light installations, and multimedia applications. 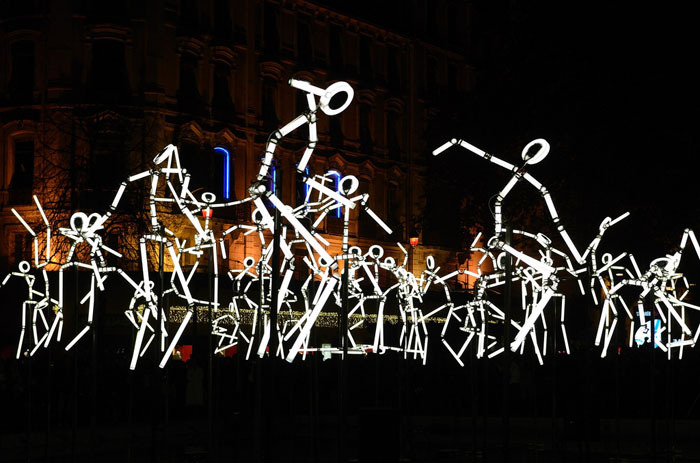 Using LED light tubes, Key Frames consists of multiple static stick figures that, when paired with a dance soundtrack, flash on and off in a choreographed display that evokes movement. Totally fun. 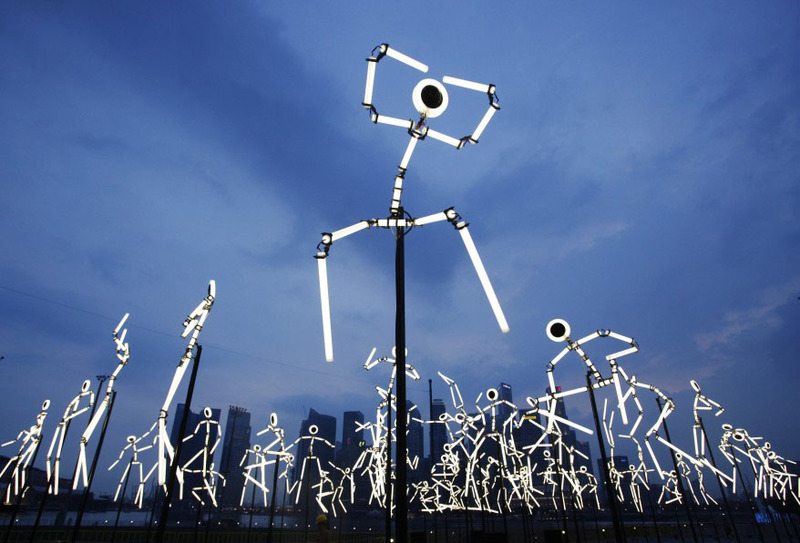 Originally designed for the Fête des Lumieres 2011 in Lyon, France, Key Frames was just included as part of the iLight festival at Marina Bay in Singapore. Photo credits: Reuters; flometal’s flickr; bernardoh’s flickr; and Groupe LAPS. This entry was posted in Art, Fun, Just Plain Cool, Light, Stuff We Like. Bookmark the permalink.